The heatwave has been raging on and we’ve been looking for something refreshing. 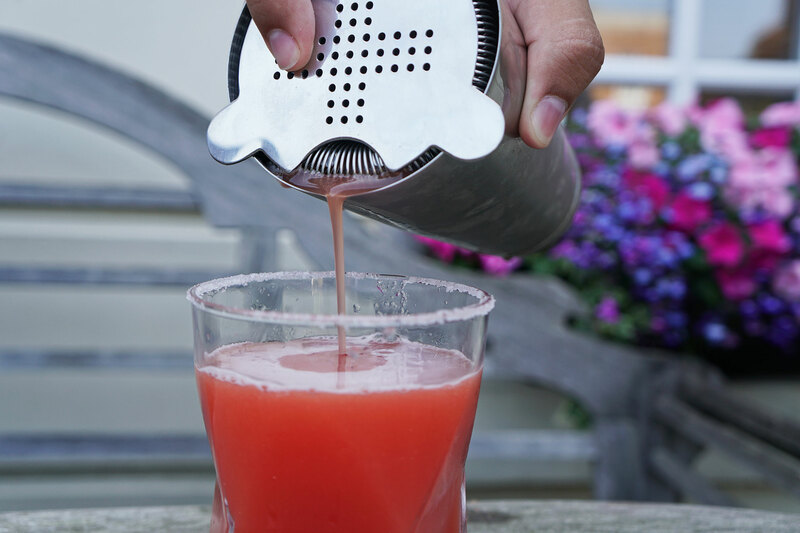 This week we have three cocktail recipes that are perfect for long hot nights. Serve to your friends or enjoy with dinner. Each of these would work well adapted into mocktails by simply removing the alcohol. The water melon water in particular is a real thirst quencher. Cut your watermelon up into chunks and blend in a food processor. Strain the juice through a fine mesh, we did this several times to make the liquid pure and removed and froth that gathered. Shake the juice in a cocktail shaker with the salt and ice. Wet the rim of your glass with a lemon and roll in salt. Serve over ice with a measure of your favourite tequila and a squeeze of lime. Peel a length of grapefruit with a vegetable peeler and wrap it tightly around a spoon handle. Juice the grapefruit and strain removing any pulp. Add juice to a measure of vodka and top up with the cranberry juice. Serve with your grapefruit rind twist. 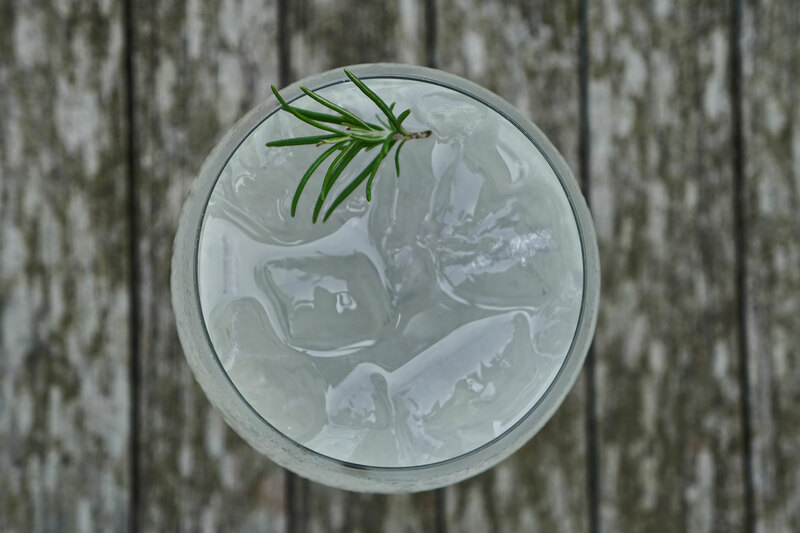 Place your sprig of rosemary on the bottom of a ceramic object, light it and place your serving glass over the top. You want to trap the smoke, without extinguishing any small flames. Once you’ve trapped a bit of smoke under there and your rosemary is a little blackened, add ice to the glass. 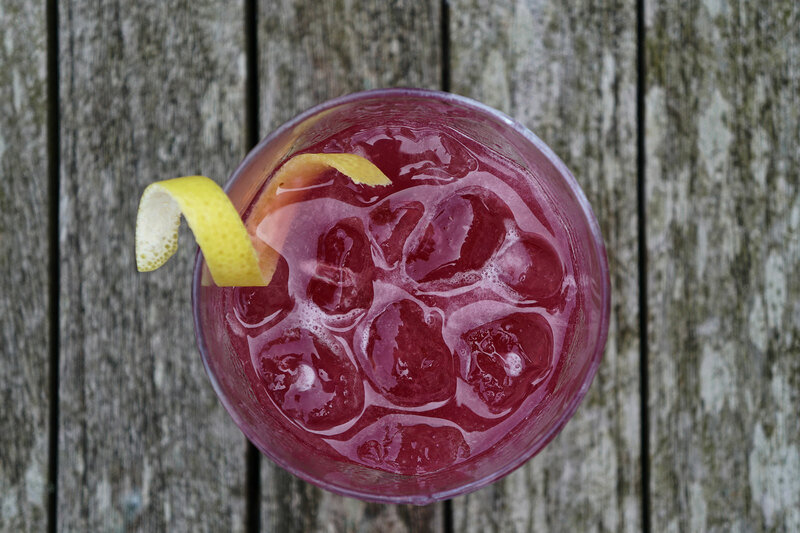 Add a measure of your chosen gin and tonic. Add the simple syrup, to taste. Garnish with another sprig of rosemary.